Many store-bought banana chips are loaded with added sugar and fat. 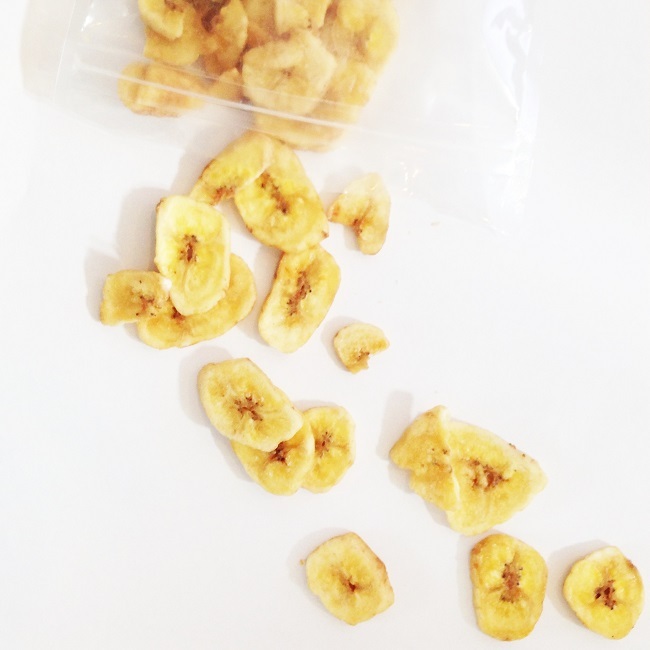 Follow these simple instructions to make healthy banana chips at home. Slice the banana (or bananas, depending on how many chips you want) into 1/8-inch-thick rounds, and lay them on a greased baking sheet. Bake at 200 degrees F for two to three hours or until golden. Then let the chips harden at room temperature. Enjoy them as is or serve with nut butter. For an extra kick of sweetness, brush lemon juice on the banana slices before baking.